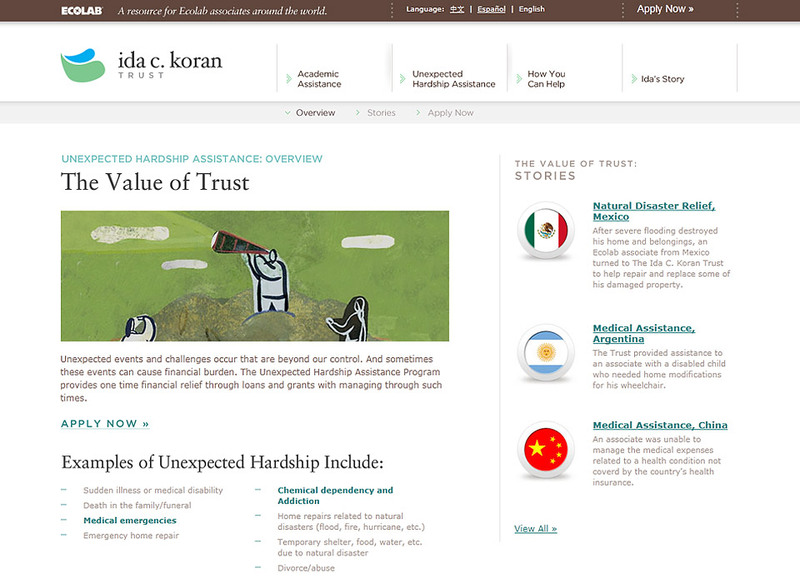 The Ida C. Koran Trust is a place for Ecolab employees and retirees to turn to in times of need. 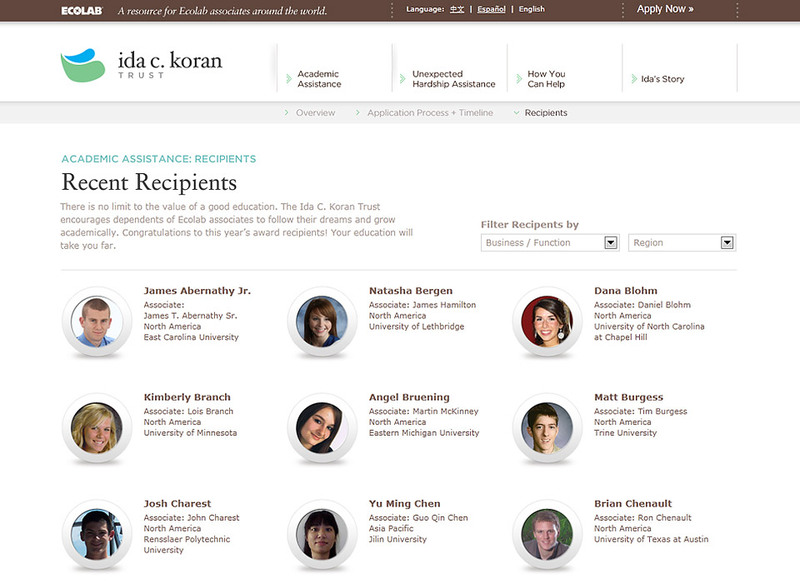 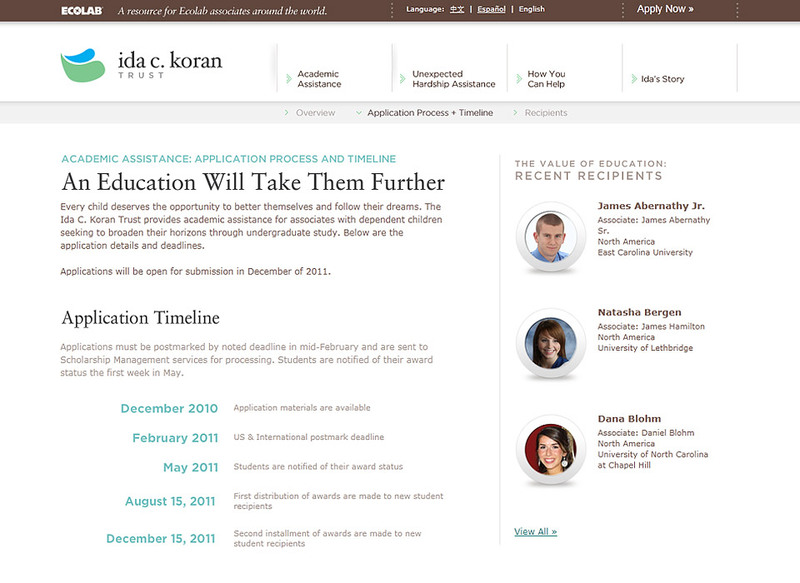 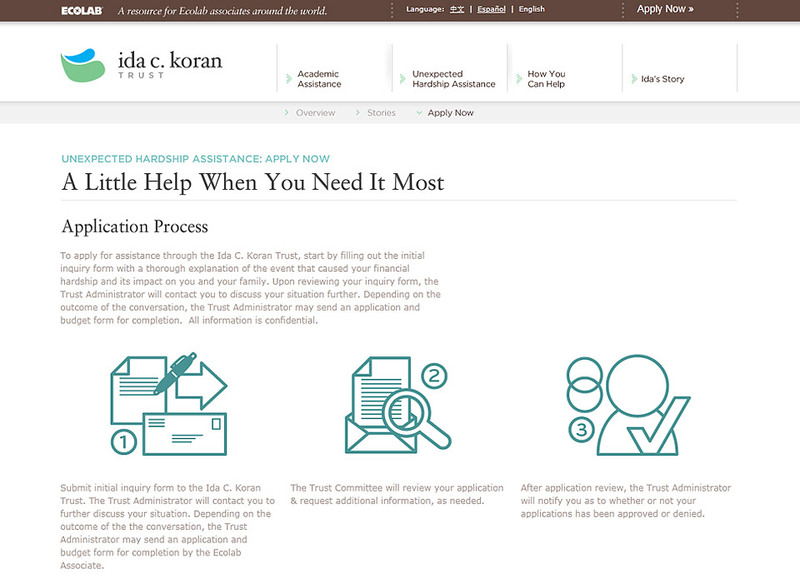 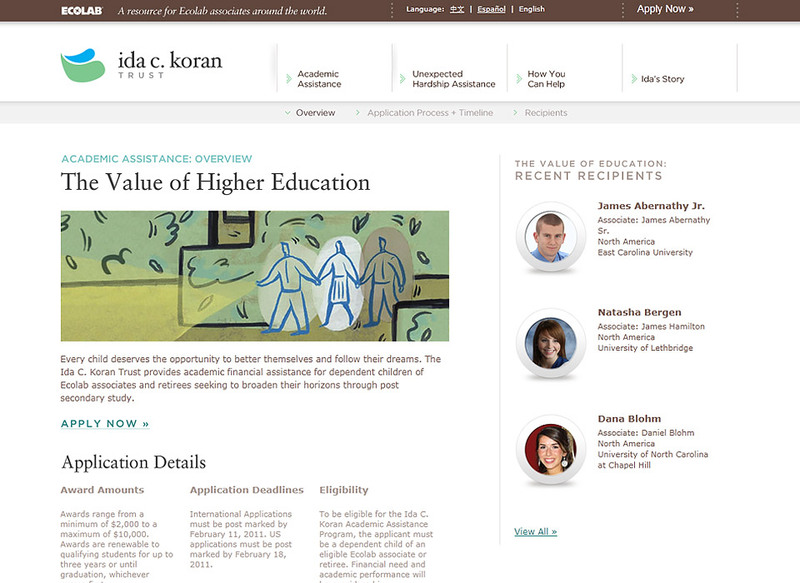 Started by Ecolab’s first employee, Ida C. Koran, the Trust offers financial assistance to dependents of Ecolab employees and retirees seeking a post-secondary education, and to employees and retirees who experience an unexpected crisis that causes financial hardship. 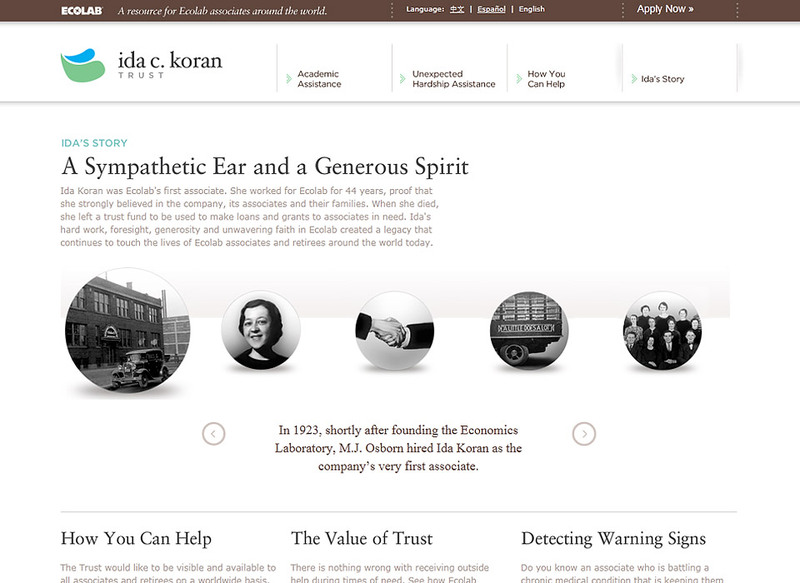 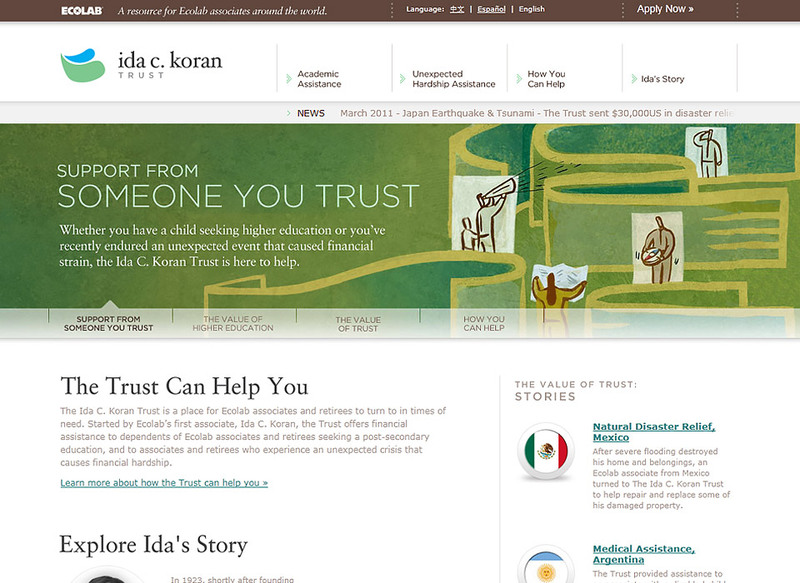 We redesigned their website which includes the history of Ida Koran, various stories of how the trust has helped others, and an area for applying for assistance. 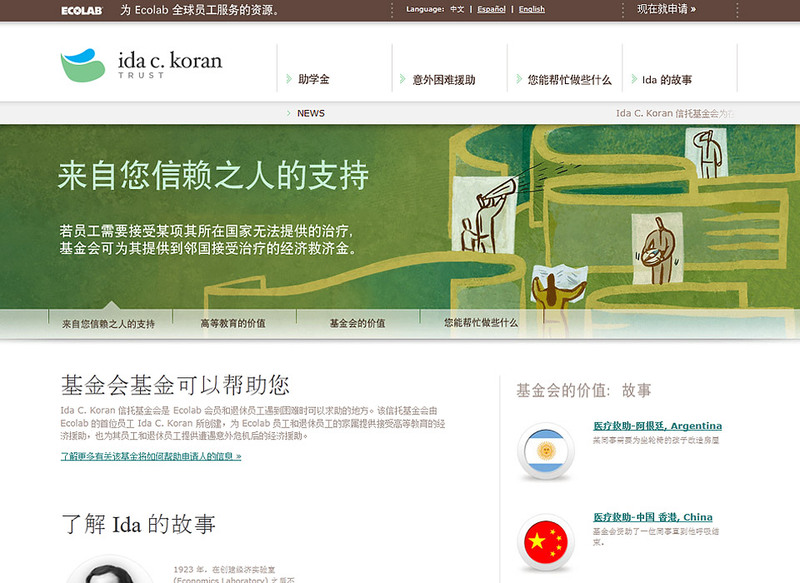 The website has content in 3 different languages.